Mercedes-Benz is looking to cover all of the bases with the new E-Class. 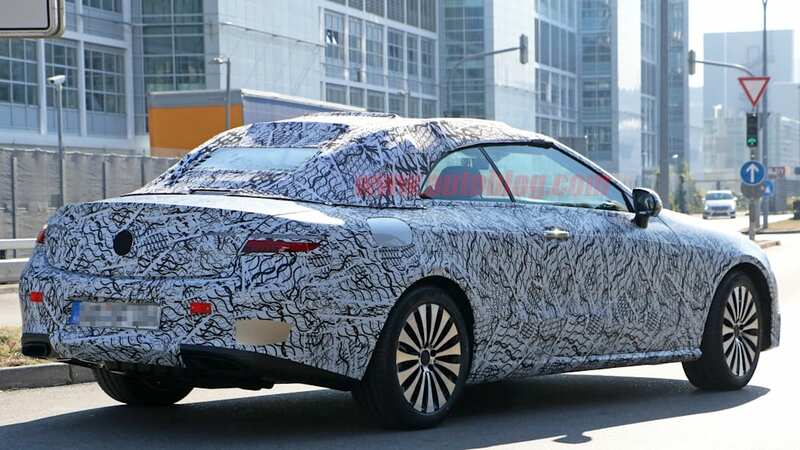 The automaker already has a sedan and a wagon variant of the model, but is currently working on a two-door body style, which will be the basis for a convertible. 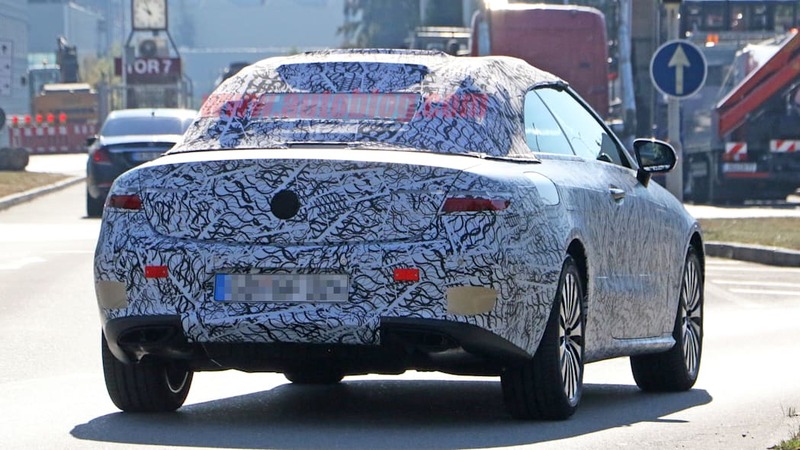 The latest spy photos indicate that Mercedes is in the initial stages of testing the new E-Class Cabriolet. 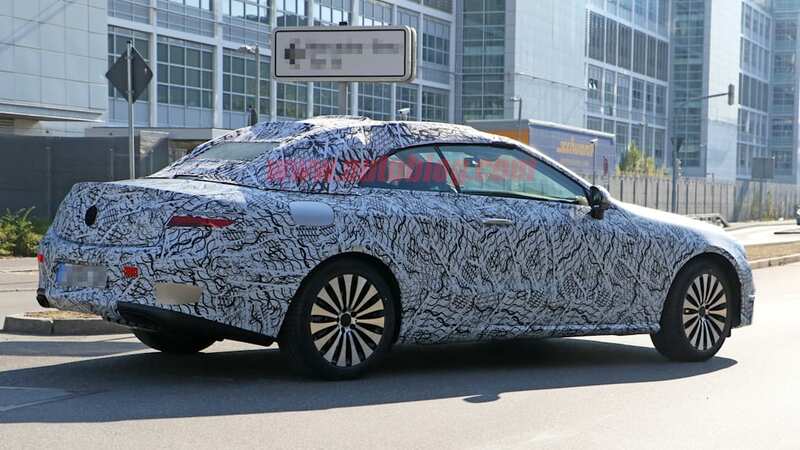 The drop-top prototype, which is wearing an interesting wrap, looks like a blend of the smaller Mercedes-Benz C-Class and larger S-Class – just like the E-Class sedan. At the front, the headlights share the same design as the C-Class with a single-strip LED light being utilized as a daytime running light. The grille is also similar to the one found on the C-Class with a large, horizontal bar encompassing a large circle with, what should be, the automaker's iconic three-pointed star. The front intake on the lower part of the front fascia looks unique to the prototype, though. 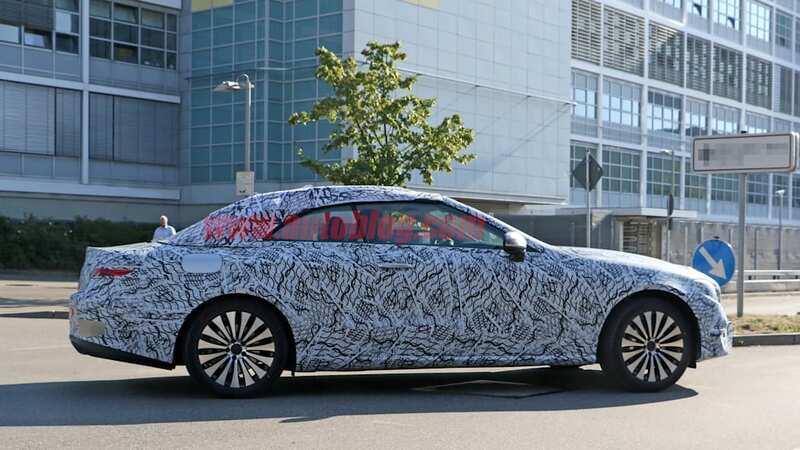 Along the side, the prototype is wearing a set of wheels that combines the S-Class' 20-inch multispoke option with the C-Class' 18-inch twin 5-spoke design. 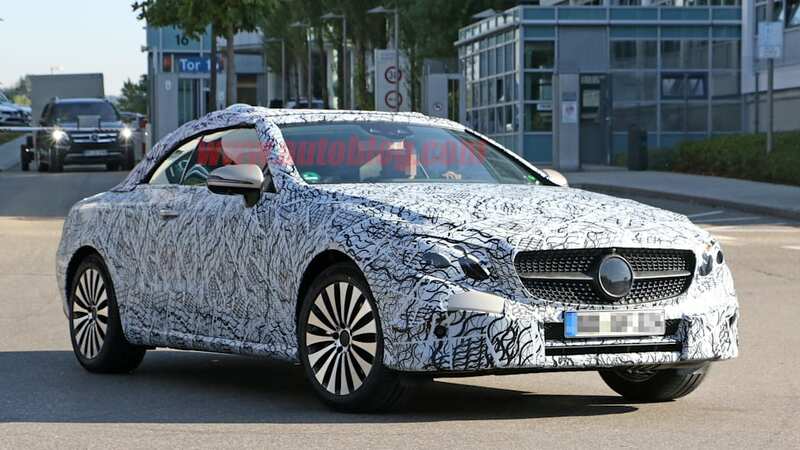 The overall profile of the E-Class Cabriolet looks similar to what we expect the E-Class Coupe to look like. 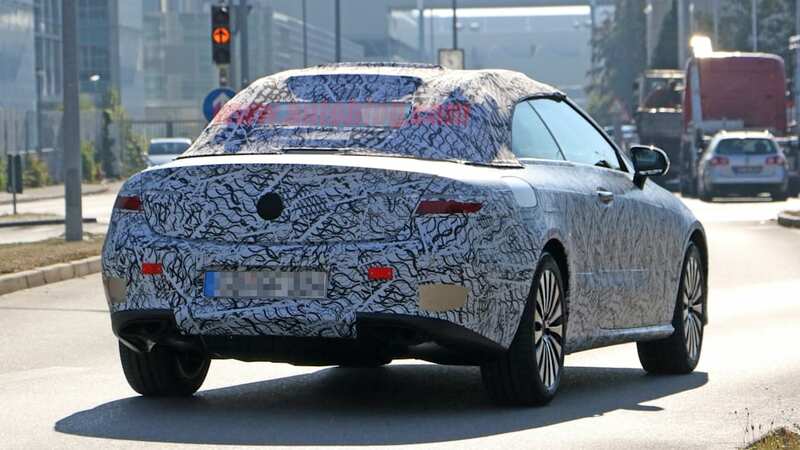 In traditional Mercedes fashion, the prototype is wearing a fabric soft top that should fold away into the trunk, just like the previous generation. The rear end's taillights are completely concealed, but the overall shape appears to be the same as the ones found on the C-Class. 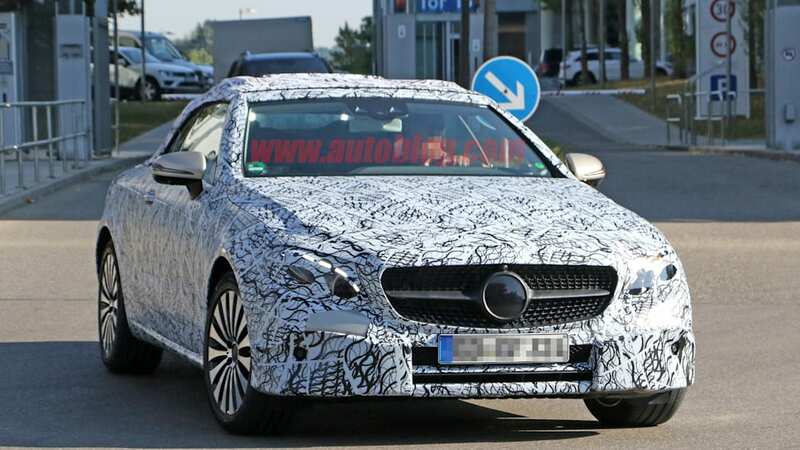 Thanks to a leaked Mercedes roadmap, we know the E-Class Cabriolet will be revealed after the E-Class Coupe in 2017. Unlike the previous model that shared its platform and components with the C-Class, the drop top will ride on the new E-Class' chassis. Engine choices are expected to be similar to the current sedan and upcoming coupe's, which include a turbocharged 2.0-liter inline-four and any future six-cylinder engines. While Mercedes has previously shied away from placing an AMG badge on the E-Class Cabriolet, the company's plan to AMG everything could lead to a Mercedes-AMG E43 and E63 Cabriolet.